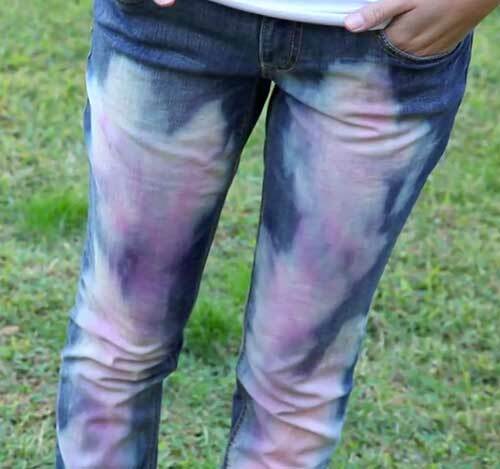 If you have a pair of jeans with a stain or just want to try a totally unique look that's all your own. This project is for you! These are 100% one-of-a-kind and no two pairs will be the same. This takes "blue" jeans to a whole other level. 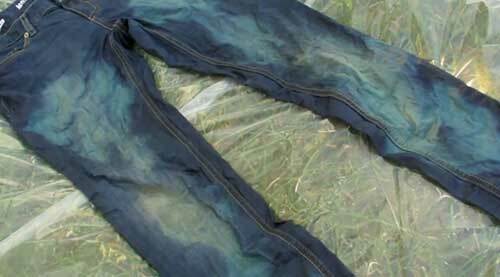 Before you start bleaching and dyeing, lay out your surface cover on the ground and wet your jeans with water. 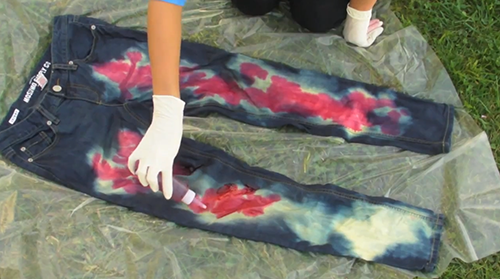 Now lay your jeans out flat and start pouring on the bleach on the front of the pant legs. 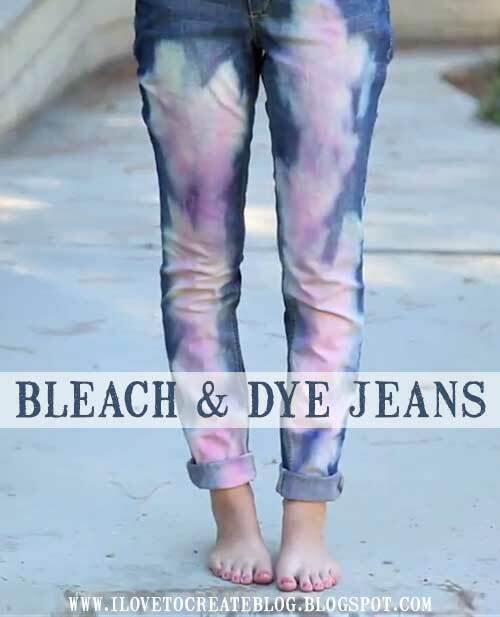 The bleach will immediately start whitening the jeans. It's pretty cool to watch! 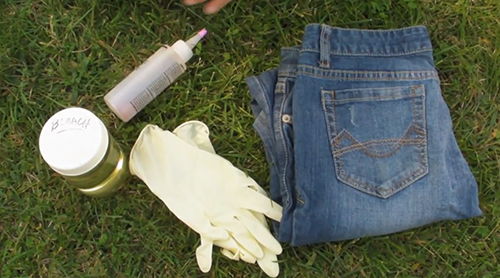 When it's at the color you want, carefully take the jeans to the sink. 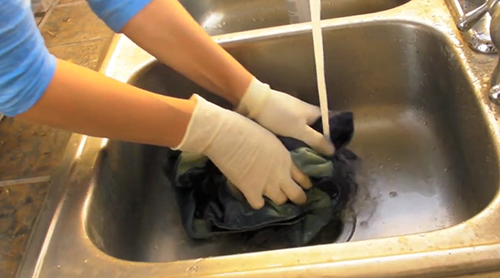 Rinse out your jeans in the sink to stop the bleaching process. squeeze onto the lightened areas of your jeans. water to dilute the dye and make it more pastel pink. We then covered up the jeans with another plastic surface cover and let them set 6-8 hours. After they set for 6-8 hours, we washed out all the remaining dyes, then washed and dryed them in the washer and dryer!